Canadians are growing increasingly anxious about their ability to handle higher interest rates, with a new survey showing a rising proportion of consumers fear they will be pushed over the brink. One-third of respondents to an Ipsos survey conducted on behalf of MNP said they're concerned higher interest rates could push them toward bankruptcy, marking a slight uptick since the previous survey in June. MNP President Grant Bazian said the results are notable given the current interest rate environment. “It’s just common nature where people would think: ‘Interest rates are going up. I’m concerned,’ but 33 per cent seems to be a bit of a disturbing number for sure,” Bazian told BNN Bloomberg in an interview on Tuesday. Meanwhile, almost half of respondents (45 per cent) said they're already feeling the effect of higher rates. "With little decrease in household debt and the pace of rate hikes expected to accelerate, we will likely see a more immediate and significant effect on borrowers with rate increases in the future,” Bazian said in a release. 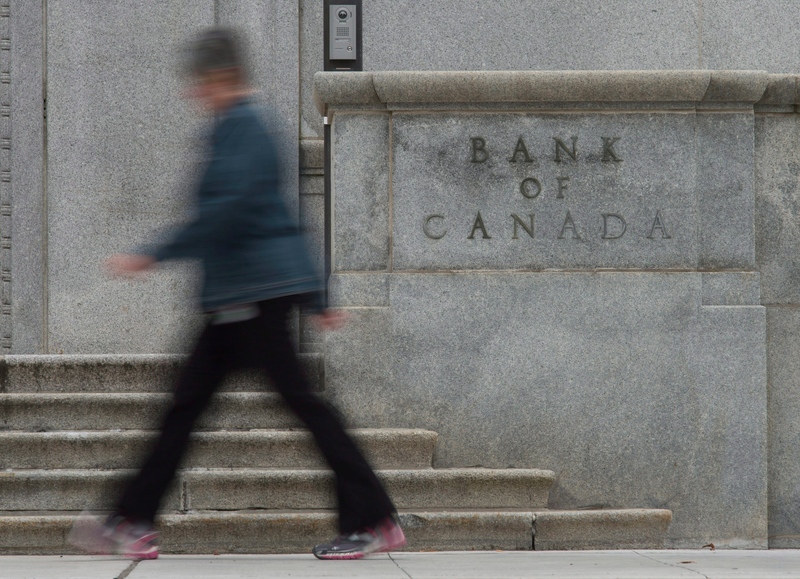 The reality of higher rates is expected to be on full display Wednesday, with investors almost universally expecting the Bank of Canada will raise its benchmark interest rate to 1.75 per cent from 1.5 per cent. The bank has already raised that main policy rate four times since the summer of 2017. According to the most recent data from Statistics Canada, a closely-watched measure of household debt burdens showed that, on average, Canadians owed $1.69 for every dollar of disposable income in the second quarter of this year. While the survey did not specifically ask respondents about housing concerns, Bazian said he believes big expenses are stressing Canadians the most. “I do think people are concerned mostly about their high-ticket items such as a mortgage or a car loan,” he told BNN Bloomberg. And younger Canadians appear to be among the most vulnerable, with the Ipsos survey showing nearly two-thirds (62 per cent) of millennials are worried about paying their bills, and almost half (46 per cent) are concerned about being pushed toward bankruptcy. The Ipsos survey was conducted between Sept. 10 and Sept. 17, and 2,003 Canadians participated. Do you think the BoC should consider the risk of personal bankruptcies before raising rates?